Well, who knows? But after Hoffman decimated a critic at the Boston Globe for a mixed review of The Story Sisters, the publishing world is abuzz about the changing relationship of reviewers and critics. We already acknowledge quite a bit of logrolling going on in the biz--the positive aspects to me are relatively harmless. But we've all heard of a "You gave me a bad review so one of my friends is going to destroy your reputation when your next book comes out." Here's the piece from the Galley Cat blog. Anyway, you'll have to talk to me in person about the books that left me cold. Because at least for a while (until I forget), no more negatalk! I'm afraid of reprisals. Will fans of Denis Johnson egg my house because I had to stop reading Tree of Smoke because I couldn't follow any of the characters? Maybe. All this reminds me of the years when Publishers Weekly would do their annual column "The Red and the Black", where they would try to get folks to talk on record about books that didn't work. According to my friend wonderful-extremely-talented-and-such-a-good-writer Billy, it was quite hard to get anyone to say something negative. Or here's another example. Ever notice there are almost never negative reviews of hotels and restaurants in travel guides? I guess you can assume that if something isn't listed, it's crappy, but what if it's just a sin of omission? Of course some would say "Why would you include someplace not to go in a travel guide?" But sometimes you do have to tell people where not to go or what not to read? Otherwise, what would be the point of that intelligent and erudite critic Michiko Kakutani, who I also hear is a snappy dresser and can read a map like nobody's business? Years ago, I had one of my worst stays ever at a hotel complex in Louisville called The Galt House. We're talking folks smoking in the hallways outside the door of my "no smoking room" mixed with the overpowering stench of ketchup, a window onto a construction site, and a roomful of chipped and dinged cabinets from 25 years previous. A broken light switch and a convention of 12 year olds screaming through the halls completed the picture. Since I booked the hotel on a third-party web site for $99 (yes, that means their in-house rate was substantially higher), they wouldn't move me and I eventually had to sacrifice a night to go elsewhere. I could not find a bad review of this place in any travel guide. Maybe the owners of the Galt House send hate mail to any travel writer who dares to speak ill of them. Eventually I posted my review on a travel site. Which leads to the irony of the whole situation with book reviews. You can read a lot more negative things online about books than you ever could in the print media. So maybe the fear of reprisals will simply create a new equilibrium. Or so poses that insightful-dyamic-almost-genius-like blog of Galley Cat. Update: the post referred to an event going on July 20th (not June). So I was talking to Amie during a lull in Saturday's business (a long lull--it appears my clever idea to offer free shipping for purchases of $25 or more didn't catch on, because most people didn't come in the door) and she told me she heard about UW's new self-study course on retirement. I did some poking around and found this recent information on the UW web site. The Center on Education and Work is offering "Planning for Retirement: Exploring Your Career and Leisure Options" as an independent self-study course. But maybe you're not into that modern online study business. You want to learn the old-fashioned way. Hey, maybe we can help. It's part of our Summer School program, and I've just christened our event space The Gerson Goldin Center for Lifelong Book Learning. I've named it after my father, by the way. There's no plaque at the moment. Monday, July 20th, is the date for "Preparing for Your Retirement at Any Age." 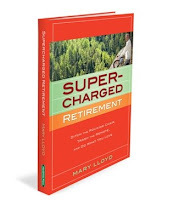 It feature Mary Lloyd, the author of Supercharged Retirement: Ditch, the Rocking Chair, Trash the Remote, and Do What You Love. Lloyd's company,Mining Silver, gets folks' hearts ready for retirment. It's an inspirational call to arms for your silver (get it? that's where her company's name comes from) years to make the rest of your life the best of your life. (OK, this is coming out schticky. My apologies). But it doesn't make sense to talk about retirement without thinking about your pocketbook at least a smidge. That's why I've also invited Brian Acker of the Whitefish Bay office of Edward Jones to talk about getting ready for retirement from a financial perspective. Acker's done a lot of handholding of late; he helped a lot of Schwartz folk roll over their 401K accounts when the company closed. He always has a lot of interesting things to say about the short and long-term futures of the market, and how you should address it from an investment perspective. Unlike those boring online classes, you can shhhh people who talk too much. You can even crib off other people's notes, because this talk is an elective and it's not even pass/fail. Just show up or I'll mark you absent. If this happens, you may not be able to go on the field trip. OK, We're Adding a Book to Our Event List Last Minute, but Only Because it's So Good--A Case for Fran Slayton's "When the Whistle Blows"
So I'm with my Laverne-and-Shirley-loving librarian friends, having dinner with our Anne, our Macmillan sales rep, when we start brainstorming about ALA (the American Library Association convention) in Chicago. Remember this post? Well here's the other half. I asked Anne what authors were going to be at ALA and whether any of them would be interested in detouring to Milwaukee. This is similar to the conversation I had about the Printers Row Festival. So far, I haven't had good luck, but I'm still trying. It turned out in this case, I didn't recognize the authors well enough to try to put together an event, but at the same time, I had one author (From Penguin's Philomel imprint, not Macmillan) who came up with the idea on her own. It's Fran Slayton, the author of a new young adult novel called When the Whistle Blows. It's a about a family in small town 1940's West Virginia. It's a train town alright, where just about the whole Cannon family works for the B&O Railroad. There's a secret society and secrets to be revealed, but the poignancy comes from the way the Cannon family's destiny is entwined with Rowlesburg, as well as the steam engine itself. We copied our sales rep Alex after the event confirmed, and he immediately called back. When he first read it, he immediately wrote to the editor, offering praise. Here’s what he told me, a little paraphrased, of course. It’s a really great book! This boy is raised in a West Virginia town where everyone worked for the railroad. The romance of the rails is a large part of the story. They fixed the steam engines there, but diesel’s on its way, and that bodes ill for the future. You feel for this kid as he attempts to connect with his dad. It reminded me of Richard Peck. It's a YA novel, but we really feel (and hope) that train enthusiasts will like it too. I can imagine this book being published as an adult title 25 years ago, but maybe winding up still being shelved in the kids' section. I'm hoping we reach the right folks for this book--I suspect that if they give it a try, they'll like it. 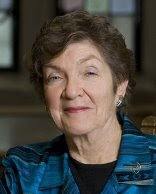 Fran Slayton is appearing at Boswell Book Company on Monday, July 6th, at 7 PM. Our kids bookseller Pam has also read the book and agrees with Alex wholeheartedly. The only promise I kept to the customer on WHAD's Kathleen Dunn show about Bloomsday (June 16th) was that I'd be in stock of the book Ulysses. We actually had the classic edition from Vintage International and the annotated Ulysses from University of California. Missing? The Gabler edition with the updated text from 1961. Here's the problem with the event--the natural tie-in or at least interest is with one of the universities (most likely UWM, being the largest and blocks away) and school is already over. The good news is that Jason remembered to order in Summerfest, the commemorative book from two years ago. It's out of stock at the wholesalers so had we done it my way and waited until the first day of Summerfest (10 days starting June 25th), we couldn't have done it. Hurray for buyers! Back to displays, we've hit the dead zone, really. In the spring, you have Mother's Day, Father's Day, and graduation, all of which sell books. Your outdoor cooking and summer reading displays start to look a bit stale, and though you may have some kids books, it's hard to find enough books for an adult Americana table--for Fourth of July I guess. I've brought in a lot of flag books over the years but the adult holiday books (see my posting on Halloween someday) are more hit than miss. We really hoped we'd have a display schedule, leaving room for breaking events. There are so many things I thought I'd do but haven't (ooh, that's another blog posting, but maybe too embarrassing to actually post) that not putting together an display schedule seems relatively minor. I'm not used to being involved with big events on the street. When Schwartz ran the Bay View Bash, we had a booth for the three years we were open. The first year we tried to sell bargain books, which was a bust. The second two years we sold marked-down bargain books and then second-hand books. It was a lot more successful, trafficwise, but probably not so in terms of profitability. In any case, the fest was not outside our door, but half a mile away. Business was as usual in the store, for better or worse. Back when Schwartz was downtown, I worked a booth at Bastille Days, the French-themed festival on the east side of town. The theme was a little more stronger in those times, and we actually focused on French-themed books. And we had a few author events at various festivals. And one of my customers would love for us to try to sell some books at a farmers' market. I kept out of the various Shorewood street festivals. And Brookfield and Mequon were in strip centers, so the biggest event we had was an annual sidewalk sale or a special children's Santa evening. But now it's time for the Downer bike race, and I'm not exactly sure what to do except be open. Having watched all these festivals, plus many more that I've not worked but attended, it's usually hard to do buisiness as usual. Streets are blocked, sidewalks are crowded. A knowledgeable third party (not to be revealed) said these things are good business for the food and (especially) drink vendors but not so much for anyone else. The races are very fun, almost mesmerizing. Boutique Bebe is organizing a kids' scavenger hunt, and there's also a kids' race. Here's more info on the Downer Classic. It's going to be the first time that a lot of people see the store. But who wants to carry around books afterward? To that thinking, we're going to have free shipping on mailouts of $25 or more to one address. The question is, do people come back next week (hurray) or do they wait until next year's fest (not so hurray)? The classic example of this is Bastille Days. I use this example because I lived on the fringe of it for 20 years. It's put on by the East Town Merchants Association, but you'd be hard-pressed to find too many local non-food merchants involved. Too often these things become self-sustaning entities. East Town is now an org for Jazz in the Park, the Farmer's Market, and Bastille Days. Bastille Days is a series of snack booths, a lot of beer and wine, and traveling knickknack stands. It's got the "Storm the Bastille" race, there are some fun bands, and who doesn't love a beignet? But to me, the festival has evolved away from its original intent to promote the neighborhood where it is located. I don't think that's what Downer Avenue wants. It would be my dream if someone came to the bike race and decided that they wanted a storefront business on our block (OK, not just any business; I'm a bit opinionated about what will and won't work for both the existing businesses and the surrounding community), but to fall in love with our street, you really have to do it on a day where there isn't a bike race. So come to the Downer Classic bike race on Saturday, June 27th. But if you like the races, come back before next year. I've just finished reading A. Manette Ansay's novel Good Things I Wish You. It's a contemporary story of Jeanette Hochmann, an Ansay-like character, newly single, and tentatively setting her foot in the dating world. She's researching the life of Clara Schumann, the noted pianist and composer who had a somewhat troubled marriage, but a very rewarding friendship (and perhaps more) with the young Johannes Brahms. The story jumps back and forth between contemporary Florida and 19th century Austria. Each story is also told in a wandering manner, with Jeanette's meeting of the enigmatic Austrian inventory Hart told ostensibly linearly, but with missing pieces, and Clara's in more of a poetic fashion. Or possibly a musical competition, with themes returned to and words used almost like musical images, rather than telling a story. Ansay reinforces this literary collage style with photos, artwork and letters amidst the story. Sometimes the pieces are literally also collages, whereas othertimes they are photos or artwork. It's a narrative technique of mixing modern styles with a classic story and I'm looking forward to Ansay tell us more about it on Saturday, July 18th, when she visits us at Boswell. So I pick up my next book and it's Aleksandar Hemon's novel, now in paperback, The Lazarus Project. (We also have a few hardcovers). Hemon is visiting us the week previous, on July 10th, at 7 PM, and I'm leading a discussion of the book at our book club on Monday, July 6th, also at 7. Hemon will also be talking about his new hardcover collection of stories, Love and Obstacles. Hemon's novel is about Vladimir Brik, a Bosnian emigre, who left Sarajevo for Chicago just before the war broke out, leaving him stranded. Hemon uses these details of his own life as a jumping off point for his fiction, and then sends the stories off in a hundred (someday, a thousand?) different directions. In this case, Brik is married to a surgeon, has lost his job as a teacher, and is writing columns for a free weekly. 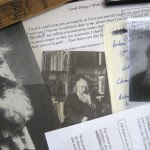 What he wants to do is complete his novel on Lazarus Averbuch, a Jewish immigrant who was murdered during the Anarchist scare of the early 20th century. The story jumps back and forth from current times to 1980 (or perhaps a novel set there). It is filled with old (perhaps real, perhaps not) photographs, some retouched. I'm not finished with The Lazarus Project, so I can't analyze it. But I'm fascinated by how two wonderful writers had such points of similarity in their telling of very different stories in very different styles. They are not alone and these devices are being used by many writers--I just happened to read two such books in a row and was ready to write a blog post. 1. Computerized typography has allowed us to mix art and fiction in ways that could not be done before. Fortunately it stays short of gimmicky. If I opened a page and a chip played Schmuann, or offered street noises of 1908 Chicago, would it be more or less of a reading experience? I think less. Art and photographs, more. Lots of books do this, but I'd say the breakthrough for me was Carol Shields' The Stone Diaries, a fictional biography of an everyperson filled with photographs. (It's currently on Elinor Lipman's rec shelf in our store, by the way--we're carrying the deluxe edition with better paper and French flaps, only a dollar more than the regular one). Here's Ansay's explanation of the images and how they wound up in the book as collages. 2. Writers want to ground their stories in history, finding inspiration from the past, yet interpret that past in a modern way, making it their own. Like a modernist building having a column that almost looks Greek, using a modern structure and present-day anchor to reflect on the past prevents the story from being too literalist. Historical novels are a grand tradition; there's no genre-knocking going on here. But with those guidelines, and knowing that writers are always thinking about the creative process (see the post on Jane Hamilton, for example), what you wind up often getting is the process of writing a historical novel, with that historical novel itself. Hence, the coincidence, which is not coincidence but trend. You would never mistake one writer for the other. Just like there can many wonderful novels about family dysfunction (Joe Meno's The Great Perhaps and Zoe Heller's The Believers being my current favorites), there are lots of great novels of interpreting historical events through a modern lens, which then reflectws on the creative process. Everybody gets the toolkit; it's what you do with it that counts. I'm hoping some of you are interested in seeing the live demos. Oh, and if you can't come on the 18th and don't want to go our wonderful event with Nathan Rabin (blog post to come of course), Ansay's appearing at Next Chapter on Friday the 17th at 7 PM. Where is the Sons of Norway Fish Fry in the Milwaukee Area, and Other Questions Answered by Eric Dregni on June 28th at 2 PM. So I'm working the desk this week and our good customer (and onetime coworker) Lynn comes in and asks me if I posted a sign about Eric Dregni's event for In Cod We Trust at the Sons of Norway Fish Fry. "Oh, what a good idea," I replied. But really, I mostly panicked. I didn't even know where the Sons of Norway fish fry is in the Milwaukee area. I'm hoping Dregni knows and has already contacted them. You learn so much from these smaller events. When Agate Nesaule came for In Love with Jerzy Kozinsky, much of her audience was from the area Latvian community. And the birders networked before Olivia Gentile's Life List event. Dregni's story is one that many Norwegian-Americans will appreciate (and likely, folks of other ethnicities who have similar stories). His ancestors came over from what was one of the poorest countries in Europe to make a new life for themselves in America. Skip ahead several generations and the discovery of oil, and Norway is now one of the richest. Hey, if my event doesn't work out, you can see Dregni in Mount Horeb , and visit the Mustard Museum and the Trollway at the same time. Here's his schedule. It's not like we didn't sell I Am a Bunny before, but 9 in the month of June seems a bit much, for us at least (it's all relative). But it isn't, because it's selling off our impulse table. People pick up this board book version of the Little Golden Book by Richard Scarry and they want it. They haven't seen it everywhere before, or maybe they have, and finally there's a call to buy that compels them to complete the purchase. It's something we brought over from the Schwartz Shorewood location, literally, a small square table. It's not great fiction or a soapbox thesis on changing the world. It's right by our busier register--facing the front of the store, it's the one on the right. I was shocked to find out when I started working here that more than 90% of our sales go through this register. Am I such a novice retailer that I couldn't guess where most customers would head? 4. Was Superman a Spy? And a few other assorted odds and ends. . When I worked at our Iron Block store downtown, we called them counter books (they still are, of course), and they worked. But the problem was they were fighting for space with each other and the customer, who wanted that space to get out their credit card or (now, rarely) write a check. Then Schwartz brought in a sidelines buyer, and they took over most of that counter space. It was a fair argument--the books might sell somewhere else, but the stuff, unlikely. It was also more likely to be stolen out of site of the front desk. This arrangement makes peace in the war between book and nonbook--the treaty of the impulse table. Hey, We Have a Sign! And it's permanent too. I'm happy with it--it so looks like the mock up that I sometimes have a hard time believing that the photo here is of the actual sign and not the proposal. A couple of the letters are slightly askew, just like us. The white is a nice contrast to the brick. It's so bright that we didn't have to pay a lot more to have the sign illuminated--oh and the street lamp helps too. Thanks to Barb and the gang at DTS Images. Someday I hope to save up for something that sticks out like our old dark green sign with Boswell, but I'm hoping for something more creative. We aren't there yet. Once we are, we run it by the building and Milwaukee's Department of City Development. Check off another thing on my to-do list. There are only about 1000 more things left, but of course money keeps some of them in the special "someday" file. Chuck Klosterman is Coming on June 25th--Are We Ready? I get nervous before every event. Even though I agreed to host Monica Nuccarione on Friday (hey, that's tomorrow) for her biography Alexander Cartwright, at the last minute, it will still disappoint me if I don't get a decent turnout. Her sister Sabrina has been booking events for her, and has some contacts at SABR (Society of American Baseball Research). You may remember this organization being discussed in Ian Ayres' Super Crunchers, as being the Bill-James-inspired organization that wound up transforming baseball scouting. That said, I don't know how many SABR-ites there are in the Milwaukee area. So you can only imagine how nervous I am about Chuck Klosterman coming next Thursday, June 25th. Scribner went to bat for us early in the tour process, and I believe this event was booked even before we opened. They have high expectations, and at this point in my store's life, we need to match or beat them. I have this terrible fear that we once hosted Klosterman at Schwartz and had a disappointing turnout. Have we done enough to pull another "Joe Meno", (Daniel-talk where we increase attendance over a previous event), only at ten times the scale. Klosterman is best known for his columns, first in Spin, where he wrote from 2002 through 2006, and then in Esquire and well, a whole bunch of other places. He is best known for writing about pop culture and music (you've probably read his ex-girlfriends matched to members of Kiss piece in Killing Yourself to Live), but he's doing more sportswriting of late, as well as being a professor in...Germany? Here's a nice piece about him in the Boston Phoenix. There are two other perspectives besides Horace's in the book--Mitch, a high school student bent on revenge against his English teacher Mr. Laidlaw, and Julia, a new and very young teacher from Milwaukee (more on that later*) who has found her newfound popularity a real life changer. I know all the characters are going to collide, the town is just to small for things to be otherwise, but they are currently in separate story arcs. I wish I wasn't working continuously so I could read? Thank goodness my bus ride is so long. *It's so common to find characters from Milwaukee in books, but usually our city represents a homespun Midwestern place, not a hick-town by any means, but someplace substantially smaller than New York where the book is most likely taking place. In this case, Milwaukee is the big city--imagine that! We need a big turnout to get author's like Mr. Klosterman in the future. So if you're a fan, don't just show up, send this blog posting on to other fans. Having a limited budget to purchase sidelines (gift, nonbook, whatever), we decided in the kids’ section to try (emphasis on try) to focus on book-related titles. Some of my booksellers are crazy about these little stubby little plush animals with no official book tie in. Fortunately, you can be creative and find your own. The board book Kiss Kiss is a perfect match for our Happa Hippo. One book that we hadn’t even been carrying anymore was Elmer, the patchwork elephant that tries to blend in by rolling in the dye of gray berries. Elmer’s been licensed around a bit, and one bookseller told me she liked the series a lot. Well, what do you know? Everything old is new again and we’re selling stuffed Elmers, an Elmer puzzle, and several of the books, particularly the classic story. We just sold out of the beanie-sized plush but we've still got the medium. My favorite oddity happened when we brought in some plush Madelines (the Ludwig Bemelmans charcter, not the Proust cake). Not too much, because we overdosed on the little French girl about 10 -15 years ago (who can remember?). Now we’ve got the classic doll in two reasonably-priced sizes, beanie and medium. And no, she isn’t selling well yet. But here’s the funny thing. Our book sales increased substantially when we set up the display . Perhaps sales will pick up when it’s time to pick out a birthday gift. It turned out that my weakness is robots. We’ve got plush and puppets, and it turns out that Jason and Amie are feeding my weakness and finding all kinds of other robot-themed kid stuff. Now all I have to do is start selling Sarah’s pick, The Robot and the Bluebird. No I have to figure out how having this stuff affects how my customers think about the store. It's even more difficult with the adult stuff. It's simple, it's a work in progress, but it's up! Like Schwartz did, we're using the American Booksellers Association e-commerce solution for our back end. At least for now, we've chosen not to have someone program an overlay site, but use the basic template. It means there's a bit of generic info on the front page, like Indie Next picks. There's more customization available, but so far, I'm just thrilled that Greg got it going. We've tested some titles through the secure server, and today we hope to have something fulfilled by Ingram. Oh, and right now, the orders are coming to me, and we need to get that changed immediately. I'm hoping to work my way back through blog postings and link titles to our fulfillment. Good luck to all concerned, especially me. Use www.boswellbook.com to access our web site for now. Boswellbooks.com seems to be stuck on our old place-holder site. We're trying to fix this ASAP. Also, we've now got the domains for our blog. This blog is www.boswellandbooks.com. Our bookseller blog is www.theboswellians.com. A Competitor is Planned for 2 Miles Away from Me--What's the Correct Response? Ever since I made plans to open Boswell Book Company on Downer Avenue in Milwaukee, some folks have asked "What about the Shorewood location? Who's going to reopen that?" I would reply that Schwartz Bookshops went out of business because they were losing money for many years and the family could no longer subsidize them with moneys from 800-CEO-READ, their corporate sales division. Both Shorewood and Downer Avenue were money losers, particularly after the spread of corporate expense, but it was my plan that with a very lean operation, one store covering both markets might make it. When pressed, I'd remind people that my store is 10 blocks from Shorewood. When folks asked why I chose not to reopen the Shorewood store instead of Downer Avenue, I also had reasons. I was concerned about Roundys being my landlord, and about the future reconstruction of the Pick 'n' Save. I really did not want to run a cafe (big money loser for Schwartz, particularly after Stone Creek and Starbucks took all the profitable take-out business) and felt that opening the store without it would immediately set me off on the wrong foot with the community. Our biggest advantage at the Shorewood location was parking, but if we had located on Capitol Drive or further north on Oakland Avenue, that advantage would be negated. We've only had a few issues with parking so far. The last time we got a complaint, Amie looked out the window and saw two open spaces in front of our store. It's definitely more of a problem of perception. It's likely that the Shorewood cafe is the driver in much of this. Though the village has multiple coffee bars (in addition to the obvious Stone Creek and Starbucks, there is also the Last Drop, Cafe Nation/Smoothie Nation, City Market, Anaba Tea Room, and Einstein's), some restaurants and bars, and a lovely library that would surely love a cafe attached, nothing had the grandness of the Shorewood bookstore cafe. Unlikely many bookstore cafes at indie bookstores that are tucked away and closed off, Shorewood's was open concept and had fabulous viewing space to and from the street. It was high-profile space, and for only the price of a coffee, you could stay as long as you wanted. I think about how much the Shorewood store was affected by the Bayshore Barnes and Noble, three miles away. We learned that lesson twice, because the store opened and closed, and then opened again. Though you may have thought the store didn't seem that different in terms of traffic, our sales suffered, and it really affected profitability. I'm already effectively competing with the internet, chain stores, big boxes (doing second hand buyback, it's true that some of my good customers not only buy books from B&N and Borders, but also from Target--I see the stickers! ), and specialty stores in the neighborhood. To them, even though I'm continuing on an existing store, I'm effectively the interloper. So of course I wish Lisa (my ex-coworker at Schwartz) the best. But I can't help worrying that two general bookstores in this environment, with the book business in the predicament it’s in, could spell the survival of neither. We'll see how it goes. A couple of events this week that I want to call to your attention. In particular, tonight's event went out in the last email newsletter, but it's been almost two weeks. Another hitch? If you look carefully, we describe both Ms. Nesaule and Mr. Allen's new books, we talk about their last books, but we don't exactly mention the titles of their new books. Our yellow events flier? Yes, it's there. But email? A little problem, and I apologize. (That's tonight if you're reading the post fresh, and many many years ago if this appeared as an internet time capsule). Nesaule is known for her memoir A Woman in Amber. Her novel, which I believe is her firs t, is about a Latvian-American woman, who having escaped from political oppression, finds herself under psychological enslavement by her Wisconsin husband. She uses Kosinski as inspiration to find herself, find happiness, and find forgiveness. Here's an interview with Nesaule on Portal Wisconsin. She's said to be doing a show on Wisconsin Public Radio today. In Milwaukee, that would be WHAD. 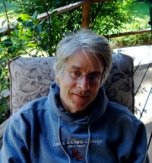 Dwight Allen, author of the novel The Typewriter Satyr. Author of the acclaimed story collection, The Green Suit, Allen's new novel is a quirky story of two people finding each other in the fictional town of Midvale. Gee, I wonder where that is? Read more in Geeta Sharma Jensen's column about Allen in the Journal Sentinel. Here's Geeta Jensen's writeup of both authors (plus a few more) in her roundup of new Wisconsin-author fiction. Alas, though Chris at University of Wisconsin Press has done an excellent job of getting press for his authors, in both cases, I booked the event after the pieces ran. 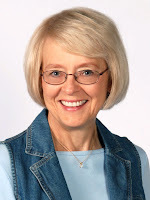 Nancy, Kehoe, author of Wrestling with Our Inner Angels. Kehoe uses her background as a nun and psychologist to look at the role of faith and spirituality in the treatment of mental illness. I first heard about this book from Kehoe's cousin, who chatted with me at the old Schwartz location in Brookfield (yes, I worked everywhere). Kehoe's also talking at the Milwaukee County Medical Complex in Wauwatosa, as well as at Gesu Church by the Marquette campus. Both these events were privately publicized, so we're taking a chance on whether those events got most of the interested parties to attend. Look! Kehoe keeps a blog up that just lists upcoming events. And here's a nice interview with Kehoe. What else should I have done to get the word out? Ads? It just doesn't seem appropriate for these books--I'd pay for views, but the actual audience is more targeted. Contacting the local mental health professionals? I hoped that by having another event at County, they'd spread the word about both events. But now that I've been doing this a bit, I've learned that sometimes, my partners only mention their events. I don't mention theirs, because they are usually closed to the public. But should I change my policy? Sort of the way I'm talking about exchanging bulletin board space? Work in progress, work in progress. All in all, from what I hear, our events are considered to be going pretty successfully. We had 40 people for our Flavor of Wisconsin event and 30 for our joint kids event, Roawr! and Snickeyfritz. In the best of times at Schwartz, some events worked better than others. And it's possible that both these events will turn out fine. But my rule of thumb is "Worry about all of them." And that's what I'm doing. Last week my friends Michael and Scot, both honchos at the Boston Public Library (See? librarians and booksellers really are friends. Notice how I don't even twitch when you tell me at the bookstore you read a book from the library. Yesterday, my customer Priscilla highly recommended Virginia and Vanessa from MKE's library system. It's a novel (we had to double check) about the complex relationship between Virginia Woolf and her sister. What was I talking about again? Oh yes, Michael and Scot's visit. We only really had a day, as this was a short detour from a visit to Chicago (highly recommended for all friends, publishing types, and especially authors). We checked off our must-see list. A visit to a comic book store, to be sure--we went to two branches of Collectors Edge, the East Side one on Farwell and the flagship in Bay View, where they have an excellent collection of heroine figurines. Let me just say I agree that it was rather insulting the way they killed the entire Canadian super hero team Alpha Flight off page. Michael resassured me that in the comic book world, as in soap operas, nobody is ever really dead forever. I feel better. My comic book rec. I really liked Captain Freedom, a post-modern riff on comic book hero as celebrity, but I think I oversold it to Michael and he was disappointed--not as funny as a played it up to be. My ex-coworker Justin, however, thought it was fine. Of course we toured the gorgeous central branch of the Milwaukee Public Library. I love rotundas. And of course, the Betty Brinn kids room with Lois Ehlert's touches is amazing. Meals? Of course. I never go wrong with a group at Riviera Maya in Bay View, especially when you're bringing together a few people who don't know each other. Get the mole sampler (six of them--almond, pumpkin seed, sesame, tomatillo, peanut, and chocolate peanut) and the conversation immediately turns to which mole is which, which is best, and do you love one so much you're going to order one as a sauce on your entree. We went with 0ur sales rep Anne, and both Anne and Michael sung the praises of mutual friend/coworker Talia. I love her too, and I met her for 17 seconds. 1. City Hall, where the Laverne and Shirley opener proclaimed "Welcome to Milwaukee." The scaffolding is down, and the building is majesting on the outside, and wondrous (with it's soaring atrium) on the inside. We could have spent the rest of the day, touring the grand old lobbies of the Germanic, Flemish, and Richardson Romanesque (that's the old federal building) downtown, but there was more to do. 2. The Bronze Fonz on the River Walk. He's life size, which means that if you're an adult, you're probably taller. I think the cross street is Wells, or maybe Kilbourne. A photo was snapped, delight was manufactured. We're carrying Fonzie greeting cards from a local photog Sue Vliet. We sold through about 30% of her first collection of cards quite quickly; the images are great, and the card stock is strong and card-worthy. (Note to local photogs--Fed Ex Office-Kinko's printing generally doesn't cut the mustard). Sorry to all the artists who are pissed about the money appropriated for this frivolous statue. But hey, you've got to please the visitors. 3. Knapp Street, where L&S resided before they decamped for Holllllywood. The address is 780 Knapp, which would mean East Knapp, as there is no west. It looks like a street where you can imagine their basement apartment, and a few empty lots (now parking and the like) where you can imagine their exact building. I lived around the corner from here for 20 years. 4. This address would be walking distance from the Blatz Brewery on Juneau (now apartment/condos) and the Schlitz Brewery on King Drive (offices), both clever permutations of Schotz. It seems less likely the creators imagined Pabst as their employer, about 15 blocks further west on Juneau. 5. A car ride to the Kopp's on Port Washington Road in Glendale. This was the site of the Milky Way Diner, which is said to be the definitive inspiration for Arnold's Drive in. At one time, there was a lot of argument about where the Happy Days inspiration came from--Gilles and Pig 'n' Whistle (closed burger/custard diner on Capitol) were bandied about. Michael and Scot had their first custard. It was a little meltier than it should have been and I was a bit embarrassed. 6. A visit to Boswell Books was of course on the schedule. I couldn't find anything appropriate for our tour (no Laverne and Shirley flip books to be found). I let them search on their own while I...well, went to my desk and worked. Scot was excited to find the two sequels to Cathy's Book and by the time we got back to my house, he was reading and interactively using the clues. By the next day, I knew enough about the series to recommend it to one of my customers. You don't have to follow this tour when you visit me, though please add #6 to any itinerary. We can do museums, or beer tours, movie houses (the Oriental and Downer are walking distance from the store and the Times and Rosebud are worth a car or bus detour) or Harley-ana. Wait till fall for my "favorite quirky chocolate outposts" because though you can visit Northern Chocolate and a few others, Franklin's is closed until September. Or snub me. Design your own tour. Be careful, however, about using the new Moon Milwaukee and Madison guidebook. It's got the new museums--Harley Davidson, Discovery World, the Jewish Museum. But the restaurant info is spotty, and not updated. The African Hut closed in February of 2008 on Yanni's closed last August. America's Black Holocaust Museum also closed. It's got the new Iron Horse, but is missing the spectacularly renovated Inter Continental. And that's just a quick perusal. Call ahead. We knew we wanted our foreign language books closer to travel. This led to flipping about four cases. Then Sarah realized the general business books didn't progress naturally from case to case. Then I noticed that the subsections in business didn't work well together. I wanted retirement and real estate books (well, while we still have the section) with personal finance, and the general business books near leadership and corporate stories. I re-subdivided the sections back at Schwartz, with the help of Todd Sattersten at 800-CEO-READ. It was really to try to jump-start business sales at ou Brookfield store, only blocks from Milwaukee's largest Edge City. The problem was that it didn't matter in the end what we did; if there was no place to get food, the business types weren't going to stop and browse with us. When the Cousins sub shop closed nearby, our last hope was gone. When we looked closer, we realized that a good number of books were shelved incorrectly. For some reason, a number of second-hand business titles had not been integrated. And the price points on some of the second-hand titles were too high; they were bought when the potential was there for these books to go head-to-head against new copies, but they had aged, the titles did not not become better known, and their prices needed to dropped accordingly. Regarding the errors, maybe some of my booksellers are afraid of the section, or are too overwhelmed with work. In any case, we needed to fix the problem. So we have these sections, and we're selling a bit. We've done a bit of research to make sure we have some of the correct titles. The browsing is still spotty and I'd like to pull out some more subsections. We're currently pulling a section out on nonprofit resources, after realizing that so many folks we were talking to were in this field, and a bit inspired by Tracy Gary's recent visit, and the recent decision by my coworker Nancy to jump into the world of nonprofit consulting (a helpful response to all you folks who asked at Book Expo what Nancy was doing now). But in the end, it may be that what we really need is a Cousins, or a Cousins equivalent nearby. I also had an interesting comment from a customer who came in to thank us for reopening the bookstore, and then proceeded to tell me why he wouldn't buy a business book from me (he wound up buying nothing and leaving, content that his "go get 'em" inspirational comments were what we needed to keep the store going.) And if the business isn't there because that's the prevailing attitude, the section breadth will follow. It all started when I made the suggestion (and the gang agreed) to move our teen section out of the kids' department. The section was set up so that books for the youngest kids were at the entrance, and as you moved to the back of the section, the age level went up, with young adult and teen titles along the back wall of this store alcove (the store is basically a blocky robot, with a kids penisula coming out of its ear). The first thing I wanted to do was reverse the flow, putting books for younger kids in the back and moving the young adult titles up to the entry way. Why would a teenager want to wade through board books to get to books he or she wanted? Boswell continued the labeling we used previously at Schwartz--"young adult" titles are adult approved, whereas "teen" titles, have some adult-style content, without a lesson necessarily attached. It's not an exact science. We still noticed that though they were in the store, readers of the section were heading to the section for Stephenie Meyer, but not much else. Other bookstores had moved their teen sections totally out of the kids area. At the Brookfield Schwartz, this transitioned into their pop/humor/graphic novel/music/film sections nearby. The problem with Boswell was that these books were on the other side of the store, and it didn't make any sense to move them near kids. But we did see high school and college-age folks near these sections, also located by our magazines. And I don't think we're doing well enough with teen books, considering that our friends at college bookstores say this is a very strong category for them, and we are very close to a large university. So we moved the mountain to Muhammad. The section is about as far from the kids section as it can be. Right now it still has the cutesy purple sign. That will change. Will I have strength for the next challenge, renaming the section to something a bit less "Happy Days"? Hey, we can always change the name back, or move it again. Years ago, David Schwartz and I were discussing the demise of the beloved Ruminator (best known for most years as Hungry Mind) Bookstore and we agreed that most if not all indie bookstores were just two bad decisions away from closing. (The Twin Cities book world did not totally suffer; Mr. Unowsky the owner resurfaced at Magers and Quinn, a great used/new hybrid in the Uptown neighborhood of Minneapolis, while his cohorts Misters Bielenberg and Weyandt took over St. Paul's Micawbers. Hey, look, a blog from them! The margins are two (I meant "too", it's not a reference to the "2% solution, as suggested by my friend Linda) thin to be otherwise. So it's not surprising that the changes to the book business (online shopping, internet options for data gathering and entertainment alternatives) and the general downtown in the economy have taken their toll. My friend and comember of the Independent Booksellers Consortium Karl Pohrt's Shaman Drum, an elegant chateau of brain candy in Ann Arbor, is closing at the end of June. Read about it in the Ann Arbor News. It's been Pohrt's hope to transition to a nonprofit, but a direct route from here to there did not prove to be successful. From what I know from my friend Scott, an Ann Arbor librarian, Shaman Drum continued to be beloved by many academics and book lovers at the University of Michigan, but the decline of their textbook business, due to open listing laws, proved too difficult to overcome. I am very sad about this development and wish the best to Karl Pohrt and all his crew. Yes, the government does secret and no-bid contracts all the time, and universities have huge fees and costs out of students' control, student loan companies have terribly harsh penalties that are almost created to force students into default, but you are not really allowed to control where students buy their textbooks, by only giving the course list to one store. Understand that this is my total self-interest involved here, but we're talking about one zillionth of the cost of a college education--why is this the only cog in the wheel where suddenly everyone becomes self-righteous about price? Is there any merit to having a bookstore near a university (or a couple) that subsists on textbooks sales to contribute to the intellectual and artistic vitality of the neighborhood. I guess Of course the whole thing scares me. Not all, certainly, but enough of our business at Boswell comes from these kind of sources that if more than one dried up at the same time, we'd be in serious trouble. We understand that for these bulk orders, we've got to be more competitive pricewise, but if there's a lot of servicing involved as well, it's hard to imagine there's a win involved either way when the margin starts being eroded. Perhaps this lack of efficiency is what led Zimmerman to underbid. Or perhaps Fox Valley didn't really make allowances in their bidding process for local versus national businesses. Yeeks. Pursue alternate sales, but don't let one source dominate your revenues. I saw this happen on an early Will and Grace episode where Harlan fired Will after Will dropped his other clients to focus on Harlan. The episode did not end well, but unlike reality, the show continued for a bunch more seasons. Live by the sword, die by the sword, I guess. What is Going on with Your Web Site, for Gosh Sakes? It's been over two months that we've been open. Some things are in place and some aren't. One thing that's noticeable to the net savvy is that our web site is not yet functioning. I reassure myself that new bookstores need to come up to speed with things immediately that took existing bookstores years and years to get up and running. There's no excuse. We have a deadline of sorts, because we promised MIAD they'd have a page of titles for their course books for the fall semester. Greg is also going to be helping with our Facebook page and our bookseller blog (The Boswellians), after Sarah leaves Wisconsin for...Oklahoma. The great news is that he's taken to it--insert duck and water simile here. We've got pages of staff recs, events, directions and more. When we go live, it will certainly be more than I expected. What goes right and what goes wrong when we hold author events? That's what we're trying to figure out as we hold more of them. 1) Milwaukee's Live Theater, with Jonathan West. My smug little posting said I was not afraid to hold an event after another store. I know that West had done an event with Next Chapter, but I didn't know he'd also done an event with B&N, plus (and this is the most important), a major theater-oriented event at the Skylight. Had I known this, I wouldn't have taken for granted that there were a lot of folk written about in the book that would come out of the woodwork. Those people were all accounted for at another event. Total turnout--5, only two of the arrivees saw the small turnout and wound up not staying. a) Arcadia publicists book as many events as possible, just like they place their books at every possible venue, not just bookstores. I asked what other events were going on, but I was coy and didn't do a good job getting the answer. Unlike other book publicists, they also act more like contract publishers--they book, but they don't actually try to get publicity for the event. This is a far cry from events at large publishers, where real partnerships were hatched. You're on your own, baby! b) Whenever possible, contact the author beforehand. Jonathan West is a savvy guy with a lot of ideas and actually doesn't even live that far from me in Bay View. Why didn't I try to meet up with him ahead of time and brainstorm? I consider this totally my error. Every time I talked to the author beforehand, we both got a better understanding of the event, and somehow, an extra publicity hit resulted. I think I could have turned this into a better event with some advance legwork. Gentile was in town with her husband Andy Borowitz, who works with the storytelling troupe The Moth, in Milwaukee for a special show at the Turner Ballroom. Though the book is a couple of months old, Michelle at Bloomsbury was gracious enough to offiically help set up the event and help get some publicity. The book, as noted on other posts, is a biography of master birder Phoebe Snetsinger, a homemaker, whose life change with a bout of melanoma and a neighbor's offer of binoculars led to a single-minded purpose. She became the first person to spot 8000 species. Gentile's decision to talk, not read, and leave lots of time for questions, led to a real crowd-pleaser, peppered with birders, Moth-ers, and a pot-pourri of interested attendees. Total turnout-35. a. Find the niches. Either Gentile or Bloomsbury contacted some birders, and one of them did an email to a whole mess of Milwaukee birders. A good enough number came out to make the effort worthwhile. Having talked to several that day, they also enjoyed the event. And who knew that our good bookstore-champion Nancy O'. actually traveled with Phoebe while birding with her husband John. It was great to have them attend--they had some great stories. It's that kind of moment that really energizes the event for the other folk attending--see below for another example. b. We are not a nonprofit, though we often act like one, and are definitely the recipients of trickle-down rewards from them. In some cases, we've come up with nice partnerships that help both parties. In this case, Gentile wouldn't have come if Borowitz didn't appear with the Moth, and that wouldn't have happened if they didn't have a grant from the Herzfeld Foundation, which gives grants to the arts. Irony moment--I never had interaction with them, but they are based in the building that was also the offices of Schwartz (and where I worked) for the last decade. c. Another reason why getting the event with the friends pays off. They not only attend, they buy. Our event with Gentile included a lot of Moth-ers and they supported her with a book purchase. If this was a long tour, they might have gone to her event in Charlotte or Omaha and bought the book at that event, and spent their time in Milwaukee on the Miller Brewery tour. 3) Mary Nohl, by Barbara Manger and Janine Smith. Manger and Smith gave a wonderful talk on the life of Mary Nohl, and their interesting journey to documenting her story. Milwaukeeans know Nohl as the owner of that house on Beach Road, now owned by the Kohler Foundation, but not open to the public, due to concerns from neighbors. The book is probably the only opportunity for most people to see the remarkable insides of the house, which is why bookstores around Milwaukee are selling it like crazy. Though Nohl had undergraduate and graduate degrees at Chicago's Art Institute, there are a lot of aspects to her story that label her Outsider Artist, though she did some exhibiting. But she also lengthened the life of her paint brushes by weaving her own hair into them. Once again, our event was energized by two participants. One woman revealed she was Nohl's roommate on a tour of Ireland in her youth. Another, my friend and bookstore supporter Rose Ann, toured Nohl's house in her youth, along with some other neighborhood girls. She disputed that image of the artist sitting outside, guarding her fenced-in home with a gun, and said she was nothing but gracious...and only wished she had a camera at the time. Total turnout-150, substantially above projection, considering this followed another bookstore event, and wound up being triple their attendance. a. Watch sales, and reorder when necessary. Nancy, my coworker at Schwartz, was great at gauging interest and responding. While we would not have run out of copies (and because the authors are local, selling out would have been an easy problem to solve), it was nice that we were doing an offsite this coming week, and already had books for that event. b. An outside publicist can do wonders. Thanks to Heidi Fendos who got such great coverage for the event. That's not, by the way, an open advertisement for every PR person to contact me in the next week (many of you already have, thanks for your business cards and emails). I don't have the budget, and have enough contacts in Milwaukee to do what we need in house, for now. But...if you are a self-published or small press author, and have the budget, I highly recommend one. Especially if you have done contract publishing and have already put the money out, the money for a good PR person will be well spent. Here are three. So tomorrow we're hosting Raphael Kadushin, well-regarded editor at the University of Wisconsin Press. He oversees their LGBT publishing program, among other things, and it's one of the strongest among the university presses, and certainly one of the few that publishes fiction. He's appearing for the travel anthology Big Trips (Kadushin is also a travel writer). This violates my rule about anthologies--when possible, I want two people reading. Originally I had Brian Bouldrey from Chicago also scheduled, but he subsequently cancelled. (No explanation--I'm hoping all is okay with him.) The book isn't new, but it has some underwriting for publicity from some consumer product, I forget which. Oh, and the event is just days before Pride Fest, so perhaps that will give it a tiny bit of publicity. (Problem--most news items will release on Thursday and Friday, the day after our event). I'm nervous, as always, but we're in this together. So count on me being at the store tomorrow, introducing Mr. Kadushin, whether we have 5, 50, or 150 people.